Did you get an e-reader for Christmas? Or maybe gift cards you're just itching to spend? Or maybe you're like me and you didn't get any books OR gift cards, so you're looking to treat yourself to a few new books? Whatever your reason, it's no secret book lovers are always looking for a good deal, right? When I see a big e-book sale, I swear my heart skips a beat (and my credit card whimpers in pain, but it's tough, it can handle it). Angela Kulig has organized a giant sale you won't want to miss. From today until January 2nd, you can get more than 100 books from over 60 authors either for free or 99 cents. Not only that, but there are prizes, too! 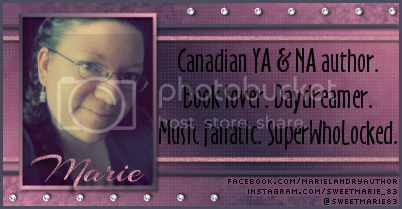 For a list of all the books on sale, plus a chance to enter for prizes, CLICK HERE. 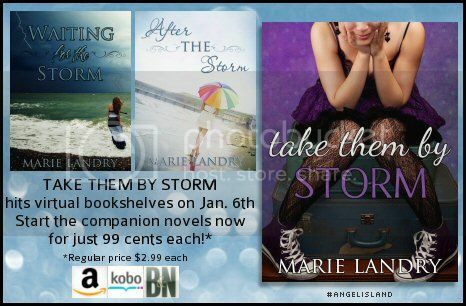 Want to grab Waiting for the Storm and After the Storm while they're on sale? AND, this isn't part of the sale, but in case you're interested, you can pre-order Take Them by Storm for just $2.99, and it'll be delivered to your e-reader at midnight on January 6th.